We had an interesting experience over the holidays. 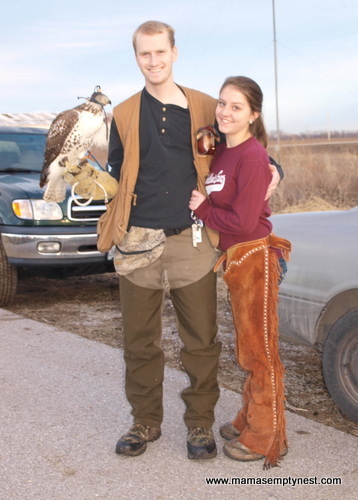 Our daughter is dating a guy who is a falconer. 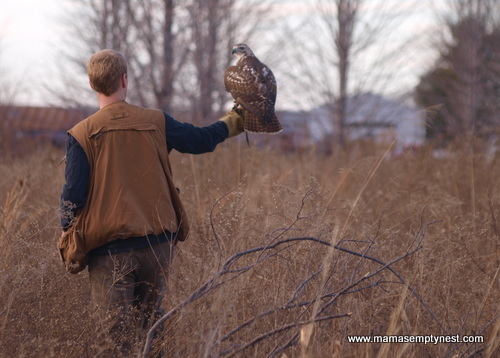 When he came to visit, he brought his bird, a female Red-tailed Hawk, and we had the opportunity to learn more about this fascinating sport and see the bird and his trainer in action. Every time I hear someone talk about young people critically, I think about my kids and their large group of friends. Even the ones who aren’t achieving in the traditional sense are still likable and respectful. They are more tolerant than many adults in our current polarized society. They spend time together regardless of skin color, sexual orientation, ethnicity, and religious background. They are starting to develop their own particular sets of beliefs based on their backgrounds and experiences. When I see these young people, I am hopeful for our future. 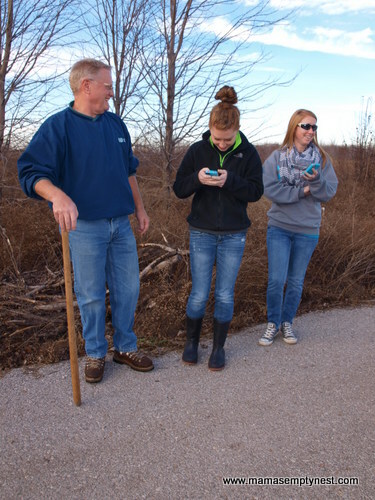 I love getting to know them and learning about their lives and interesting hobbies. On a cold winter afternoon, we went out to an old, abandoned nursery (we had permission from the owners to be there). We were all participants in the hunt that day. Falconry is an ancient art with the earliest known accounts dating to 2000 BC in Mesopotamia. In Medieval Europe, it was known as the sport of kings. This young man’s father is also a falconer. 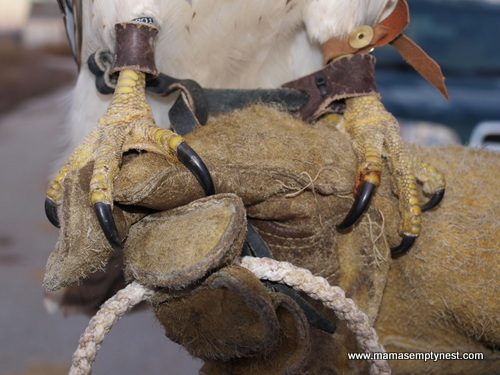 There are a lot of laws governing the capture and training of the various birds of prey that are used in this sport. There is also specific training and credentialing involved with the first level being an apprentice who must learn under a master falconer. The middle level is a general falconer which is where my daughter’s boyfriend is rated currently. 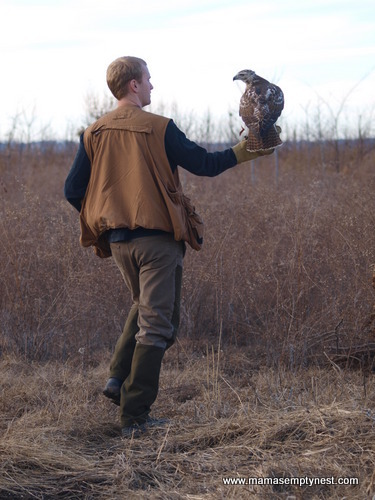 He trained under his father who is a master falconer who also happens to have developed some training techniques that are very well-regarded in the field. 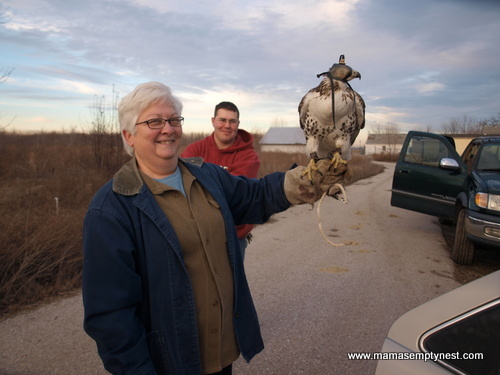 After getting the hawk ready to hunt, everyone traipsed into the field to help flush prey for the hawk to capture. 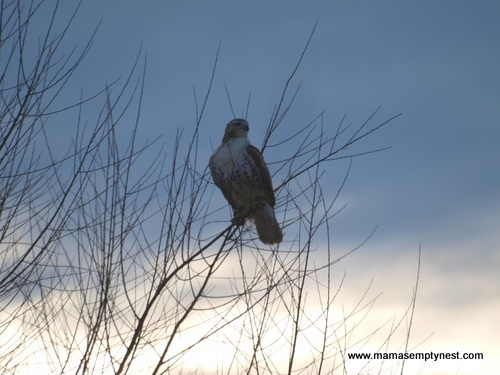 After a long while in the cold, it was clear that the hawk was not going to capture anything on this day. 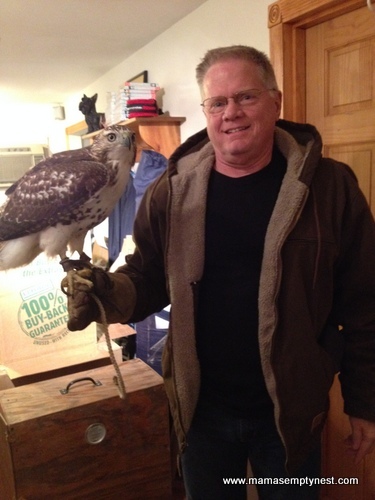 What was fascinating is that the hawk was free and could have escaped at any time. The laws governing this sport are very restrictive and specific. Everything from the capture, the equipment, the training, the housing, and the documentation is quite involved. This bird was closely monitored, weighed, and fed during its stay at our home. It stayed in a cool room off our garage in a very specific container. All of the activities of the bird including what and how much food it ate, what it weighed, how it acted were meticulously logged into a notebook. One look at the talons on this adolescent and beautiful bird reminds one that this is serious business. 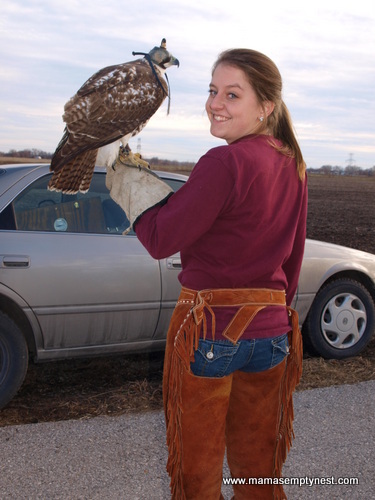 Hawks and other birds used by falconers are trained using operant conditioning. Basically, the relationship between the bird and the trainer revolves around food. The bird is simply opportunistic and does not have a “relationship” with the trainer other than as a source of food. My daughter is having great fun learning and having new experiences. She is attending a university that includes a lot of kids from smaller towns and rural backgrounds so she is learning about hunting, guns, archery, and other outdoor sports. This is a long way from the dance classes, piano lessons, and Band geek activities of her youth. I love that she is open-minded enough to seize the opportunity to try new and exciting things that she may not have ever considered or even know about. I had the opportunity to hold this bird. Her grip was surprisingly tight and while she seemed to be fairly light at first, I could see that over time it would take some muscles to hold her up just right. DSH got a turn to hold the bird and see how she was being cared for while visiting us. Here is my daughter with her boyfriend and the bird. Interesting kids. Interesting hobby and sport. While this was not on my bucket list, what a great opportunity to have a new and interesting experience and adventure!